Beautiful Stick Built Single Story Home In Pahrump! 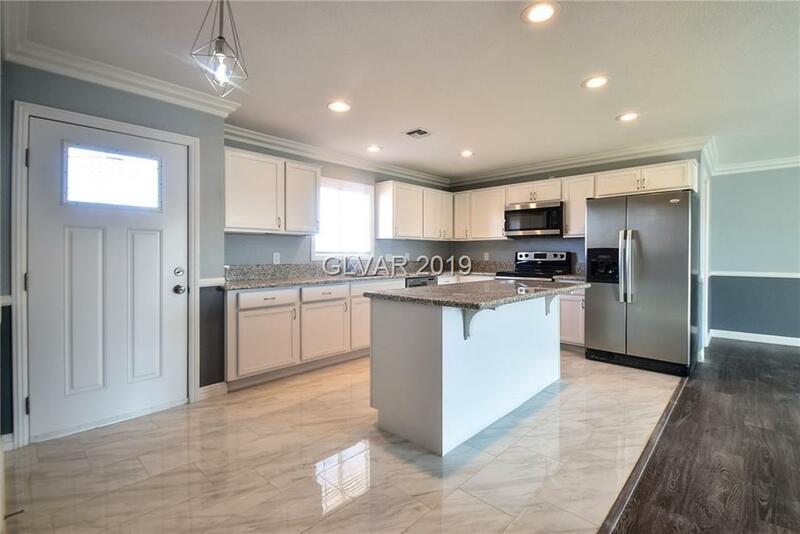 Top To Bottom Remodel Including New 3 Tone Paint, Tile,Laminate Flooring, Granite Counters, Kitchen Cabinets, Vanities, Electrical,Light Fixtures, Sinks, Toilets, Crown Molding, 4" Baseboards, Metal Roof And Much More! Separate Laundry Room. Walk In Closet In Master.Stainless Steel Appliances. This Remodel Was Done W/Such Detail. It Is Open & Warm! Do Not Miss This Darling Home.See For Yourself!